The Checker was created specifically to optimize inspecting and auditing processes. 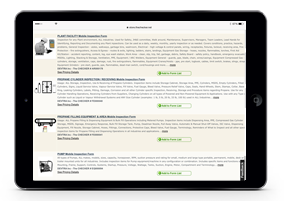 Whether using The Checker Software or our Checklist Books, The Checker can increase the value of the inspections and audits you’re already doing. 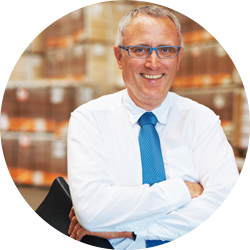 Learn more about how The Checker can improve your inspections and audits. Our Checklist Books can be used as a stand-alone solution or in conjunction with The Checker Software. Each checklist is specific to a particular type of asset, with all the detail necessary for a thorough, compliant inspection or audit. 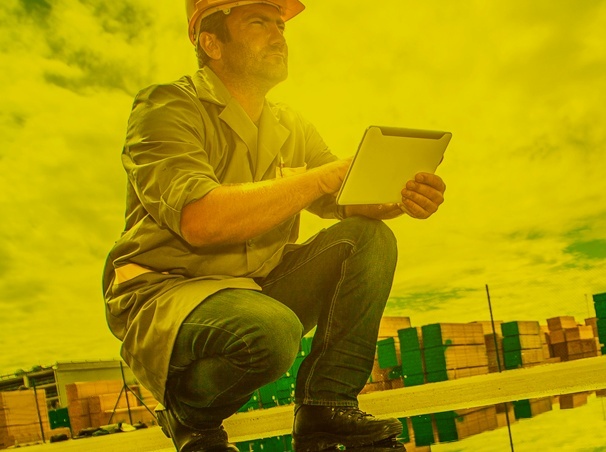 The Checker Software features a range of tools for conducting and managing inspections and audits in a way that lowers costs and increases benefits. The cloud-based software can be configured to meet your unique needs. There’s no need to keep entering inspection and audit results into spreadsheets to save that data. Using The Checker Software on mobile devices in the field—or our Checklist Books in the field and The Checker Software in the office—you can leave the spreadsheets behind and get more value from the data using our management, reporting, and analysis tools. Since 2000, The Checker has been helping companies with audits and inspections for safety, compliance, maintenance, and other purposes. We understand real-word inspection processes and know from practical experience how to improve them. The Checker Software and Checklist Books aren’t complicated to use, and they include no distracting features that don’t have a practical purpose. The Checker makes everyone’s job easier and gets genuine results, so it’s readily adopted. Our inspection checklists are not generic templates produced by companies that are primarily software developers or book publishers. 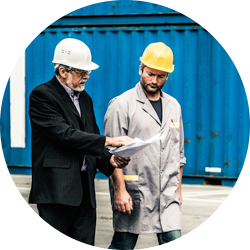 Our checklists contain all the detail necessary for inspecting or auditing specific assets, facilities, or sites. 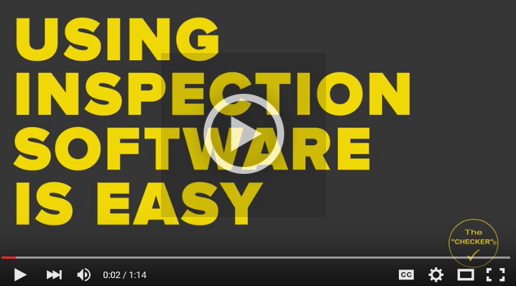 Do you want to speed up and simplify your inspecting processes while gaining more value from them? Then maybe it’s time to go electronic. For most enterprises, using The Checker Software to conduct inspections and audits makes good business sense—don't believe us? Watch our video to see how simple it can be.